Being able to validate tickets quickly and easily is key to the success of any Public Transport Ticketing System. Transway’s TapNGo offers a wide range of validators for mass transportation that include both platform and on-board devices that allow passengers to validate their smart card tickets quickly and efficiently. The validator is used to validate the smart card. It is usually either on-board the vehicle or on a platform. Platform validators are common in Bus Rapid Transit (BRT) systems. The validator also serves other functions in the context of the Elecronic Ticketing System. The passenger will know how much money was reduced for the current trip as well as how much money remains on the card. She will also be able to immediately know if the current validation was successful or not. Some validators have touch keys to choose special fares, such as for families or for high peak and low peak times. On-board validators can also have a GPS included for location based fare options. Both on board and platform validators are able to communicate with the back office, both sending and receiving information. The validators allow for quicker boarding and alighting of passengers, without the need of the driver, conductor or other person intervening to make sure that all passengers have paid. 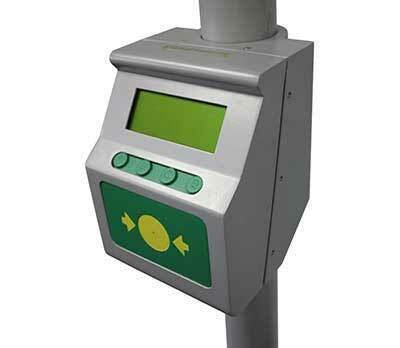 Transway validators are especially quick, completing the action within half a second. The effect is a more rapid and smooth experience for the passengers, and less time at each station spent by the driver. The driver has less, or even no, passengers to deal with regarding payment at any given stop, and throughout the route. The Transway family of validators gives you the full range for validation needs – onboard and platform validators, entry control, full check in and check out, and more – allowing for a smooth and hassle free passenger experience!